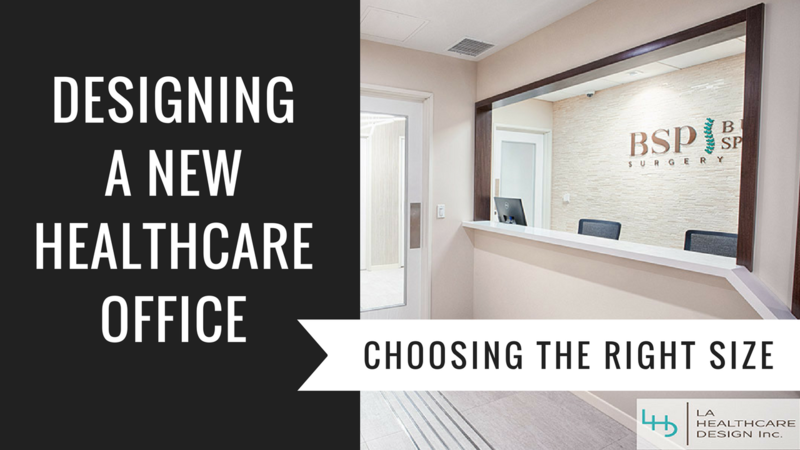 The scenario: You’re trying to design your new healthcare office, but you have no idea where to start. Whether you’re building a brand new office or simply relocating your old practice, one of the most important factors to consider is the size of your new space. Of course there are standards like allotting x square feet per working practitioner. However, in order to design the best space possible, you must consider what will work best for your unique practice rather than simply following the existing standards. How big or small does your new healthcare office need to be in order for you to best serve your patients? Do you need special rooms for holding equipment or storage? How much space do you need for procedure and/or exam rooms? How much space should you allow for waiting room areas? On average, how many patients will wait in the area every 30 minutes? How much do you see your practice growing in 5-10 years? Once you’ve answered these questions, you should have a better understanding of how much space you need in your healthcare office. At LA Healthcare Design Inc., we are committed to creating beautiful healing spaces that fit you and your patients’ needs. We walk you through the entire design process (including some of the above questions) in order to help create the most efficient, practical, and high quality healthcare space. Feel free to reach out to us here for a consultation.